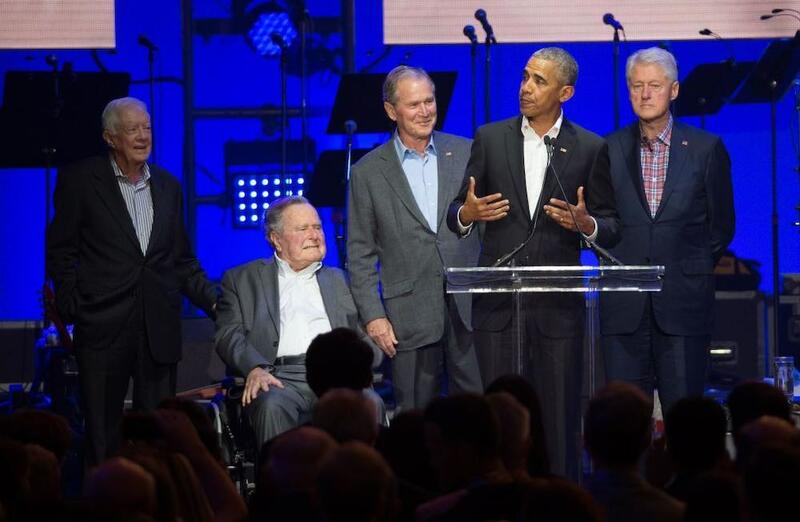 George Herbert Walker Bush, who has died at age 94, will not reside in the top rank of American presidents, the Washingtons, the Jeffersons, the Roosevelts the Kennedys to name a few. But he will be remembered as a decent man who did his best in a long, distinguished public career. In his biography Destiny and Power: The American Odyssey of George Herbert Walker Bush, Jon Meacham portrays the elder Bush as a more driven occupant of Pennsylvania Avenue than his reputation would suggest as something of a gentleman politician born of Connecticut establishment Yankee stock. In business, sport and public life he was a determined competitor, and won more often than not. It might be said he was used to winning. His father Prescott Bush was a United States senator. He was educated at Ivy League Yale. George Bush senior, or “41’’, to distinguish him from his son, America’s 43rd president George W Bush, served in the White House from 1989–1993, a period that coincided with the collapse of the former Soviet Union and the first Iraq war. Bush deserves significant credit for mobilising a multinational force to eject Saddam Hussein from Kuwait after the Iraqi dictator invaded that country in August, 1990, putting at risk the oil rich Gulf States, and thus the economies of the West. America’s 41st president combined diplomatic skills – garnered while serving as US representative at the United Nations, as head of the American Liaison Office in Beijing, and director of the Central Intelligence Agency – to marshal a united front involving not simply Western allies but Arab states in a joint endeavor to end the Iraqi occupation. Desert Storm, as the US-led campaign was known, proved to be a textbook case of dealing with an international crisis that threatened western interests in the oil rich Gulf region. 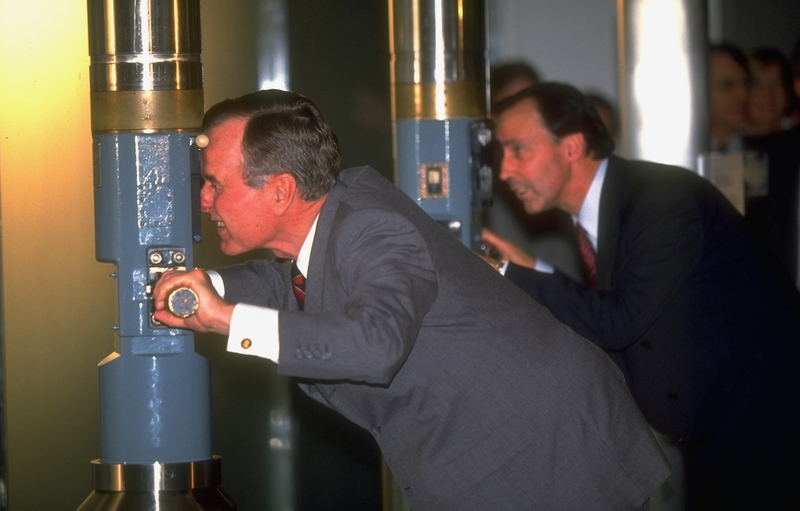 This proved the high point of Bush’s presidency with his popularity at record levels, only to be followed by a steady descent in public esteem as America’s economy struggled in the early 1990’s. Bush’s loss in 1992 to Bill Clinton, thus becoming a one-termer, hit him particularly hard. Bush’s loss in 1992 to Bill Clinton, America’s 42nd president, thus becoming a one-termer, hit him particularly hard, but it is to his credit that in his post-presidential years he was able to put this behind him and develop a friendship with his successor. However, as he confided to Jon Meacham, his loss was wrenching. Clinton had avoided service in Vietnam as did George W Bush, an issue that was not amplified in Meacham’s polite biography. George Bush senior could not have been accused of dodging service to his country. At 18, he was the youngest aviator to gain his wings in the Second World War and flew 58 missions before being shot down over the Pacific. He was extremely fortunate to be saved from a life raft bobbing in the ocean by an American submarine while his crewmates perished. In his later years he would question whether he had done all he could to save them. Inevitably, America’s 41st president’s record will be overshadowed by the man who went before him and the man who succeeded him. It was perhaps his misfortune to be sandwiched between two popular two-term presidents, Ronald Reagan and Bill Clinton, one a Republican and one a Democrat. Reagan is given credit for restoring a sense of optimism to America after the dismal Nixon and Carter years, and for the part he played in the Soviet Union’s fall. For his part Clinton, for all his personal failings, presided over a golden age of relative prosperity and job creation. Neither Reagan nor Clinton was obliged to take their country to war. George Bush senior, on the other hand, committed his country to two foreign conflicts. In December 1989, a year after his election he sent troops into Panama in an operation called Just Cause to remove a corrupt president, Manuel Noriega. He was not afraid to use American military, as was demonstrated by his willingness to apply overwhelming force to eject Saddam Hussein from Kuwait. In later years he was criticised for not authorising a US-led push on to Baghdad to rid the world once and for all of the Iraqi strongman, but he argued that if American forces had advanced on the Iraqi capital, America risked a quagmire. As events demonstrated, after his son was bogged down in Iraq after the 2003 invasion, he was right. In any case, an international coalition put together with diplomatic finesse would have unraveled as Arab participants peeled away. Any assessment of America’s 41st president needs to acknowledge several firsts. He was the first sitting vice president (he served as Reagan’s deputy for the eight years of the Reagan presidency) to be elected president since Martin Van Buren in 1836. He was the second US president, after John Adams, to be the father of a US president. Among notices on his death will be this singular detail. As a Republican moderate of the old school, he did not vote for fellow Republican Donald J. Trump to be America’s 45th president.